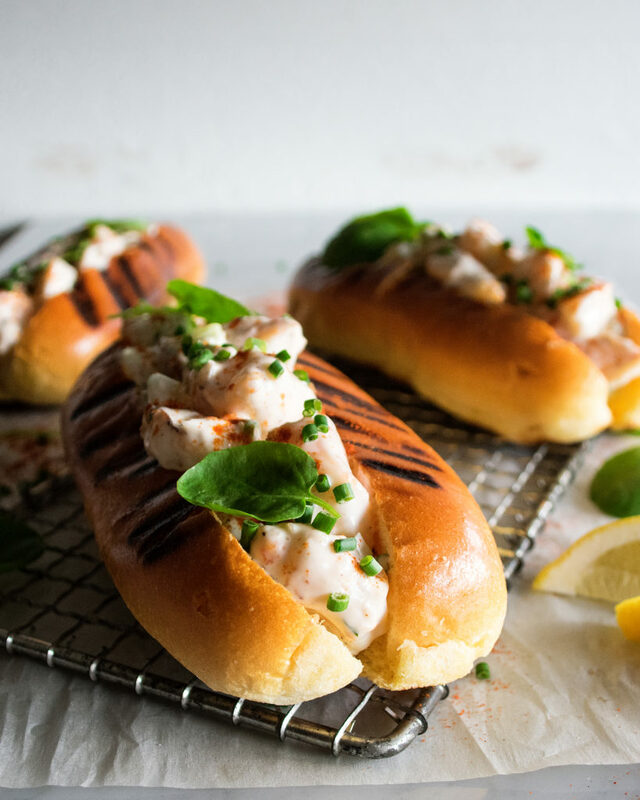 We’re talking simple shrimp rolls today – creamy, luxurious shrimp salad bundled up in a buttery, toasted brioche bun…doesn’t get much better than that. 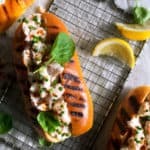 Since this is a take on the classic lobster roll, I want to make one important point: the best lobster rolls out there are the simplest. This is one dish that should be left alone, with nothing added that overwhelms the main attraction. I’ve changed it up a bit with grilled shrimp instead of lobster meat, but the principle is the same – simplicity is best. 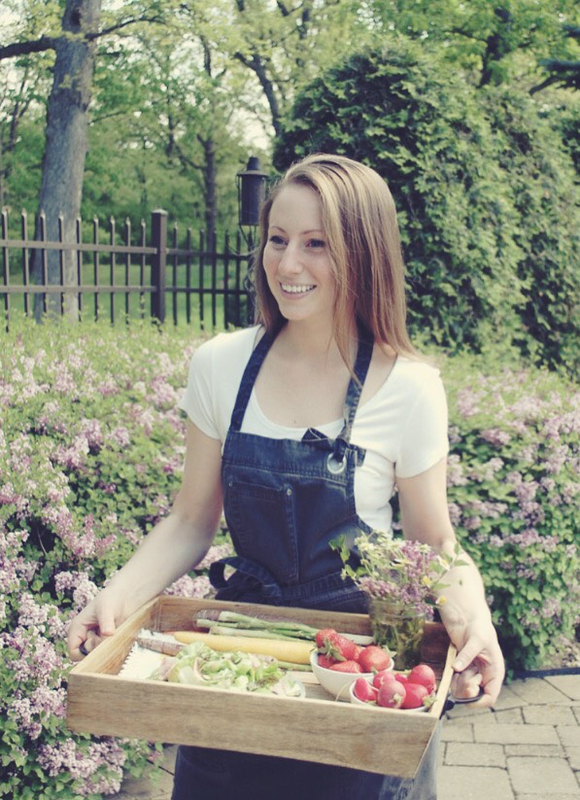 You want subtle flavors that compliment the seafood and bring out all of its fresh, delicate taste. Celery, lemon, chives, a little tarragon, and just a touch of hot sauce. 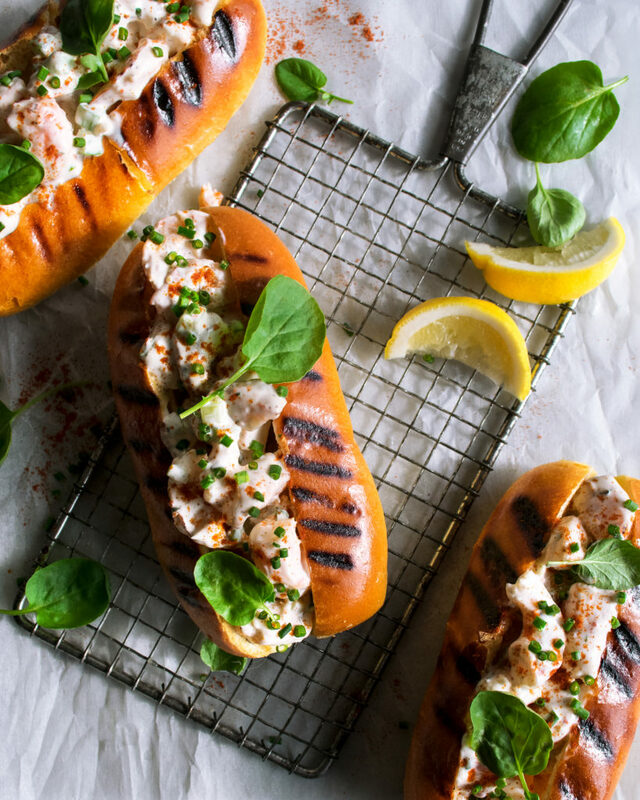 Tossed with the shrimp and mayo, and then piled onto buttery toasted brioche buns…it is summer perfection. I hope you love these! Let me know what you think. I’d definitely serve this plum galette afterwards before the summer stone fruit is gone!! 1. Whisk together the mayonnaise, lemon juice, hot sauce, and granulated garlic in a mixing bowl. Stir in the celery and chives. Chill the mixture while you grill the shrimp. 2. Heat the grill to high. Pat the shrimp dry. In a small mixing bowl, toss the shrimp with oil, salt and pepper to coat. 3. Grill the shrimp for a couple of minutes on each side until cooked through. Remove the shrimp from the grill and let cool slightly on a cutting board. 4. When cool enough to handle, roughly chop the shrimp. Toss the shrimp with the mayonnaise mixture. Season with salt and freshly cracked black pepper to taste. 5. Lightly toast the brioche buns on the grill. 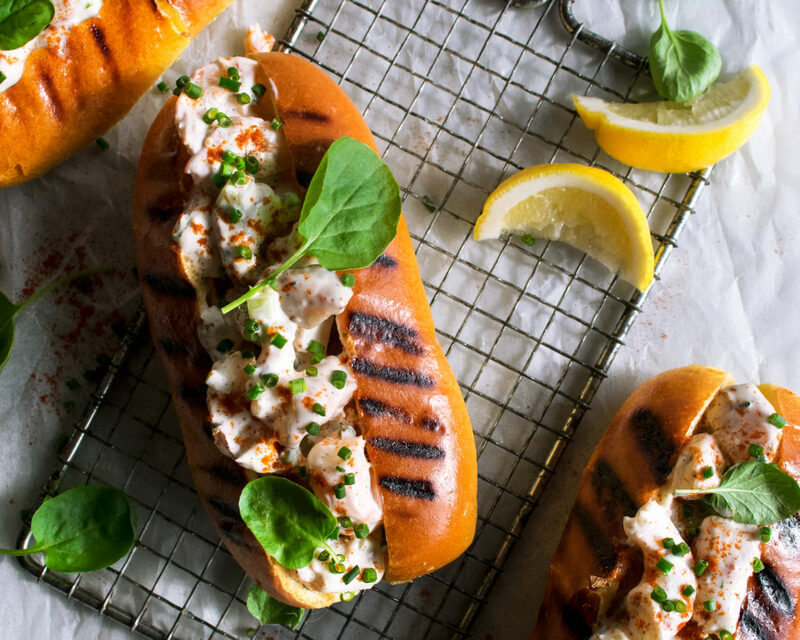 Spoon the shrimp salad into the toasted buns. 6. Garnish with a sprinkle of paprika, extra chopped chives, and a squeeze of lemon juice.